Kids leave for Camp Paradise Valley on Monday. The Greater Chattanooga Salvation Army is sending more than 70 kids, ages 7-12, to Camp Paradise Valley on Dale Hollow Lake in Burkesville, Ky. for a week. The bus will leave Monday at 7:30 a.m. from The Salvation Army’s East Lake Corps at 2140 East 28th St. 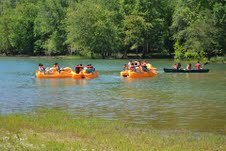 Upon arrival, the campers will experience the countryside while hiking, swimming, boating and exploring the outdoors. Additionally, the campers will participate in Bible study as well as arts and crafts. For many of them, it’s the highlight of the whole year. "Time spent at camp can be a life-changing experience for kids,” explains Major Teresa Newsome, associate area commander. “It can instill feelings of self-worth and offer hope for the future." 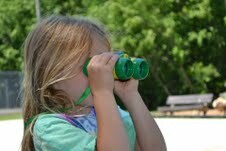 The cost of camp is $175 per child and includes transportation, food, lodging and activities. Contributions to help send more local children to camp may be dropped by or mailed to 822 McCallie Ave. and are accepted online at www.csarmy.org or by calling 1-800-Sal-Army. For more information about summer camp, please contact Kimberly George at 503-1801 or kimberly_george@uss.salvationarmy.org.